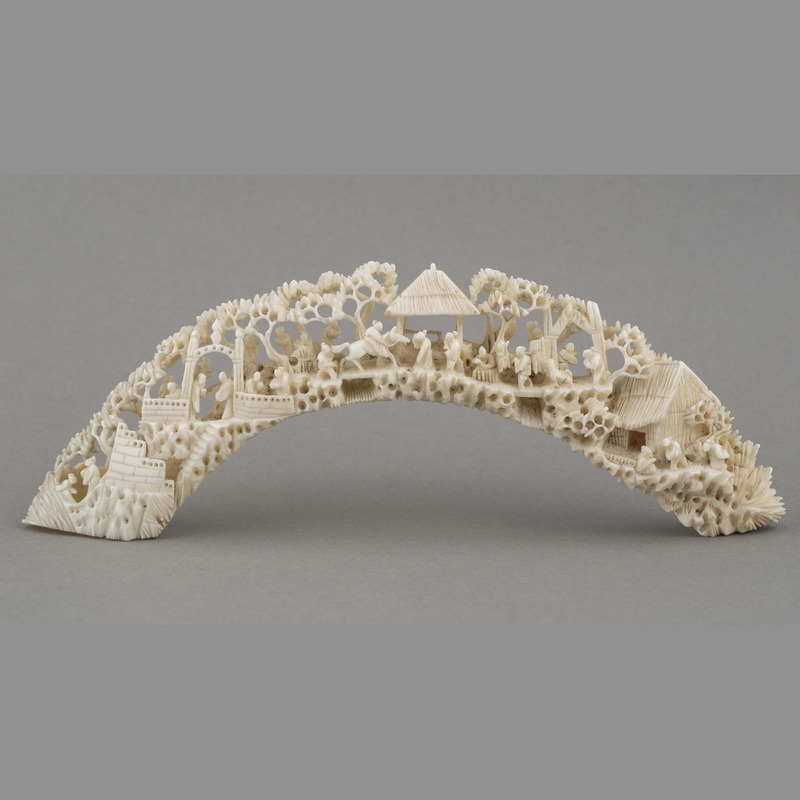 One white openwork carved and pierced ivory sculpture in the form of an arc-shaped hollow flattened cylinder. 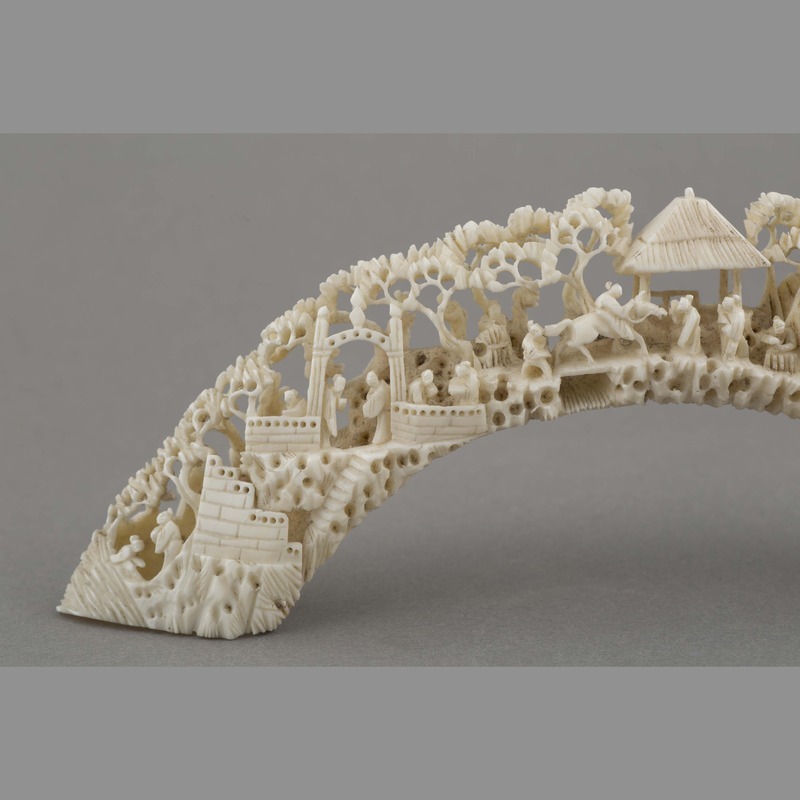 Outer surface depicts garden landscape containing figures structures and trees. 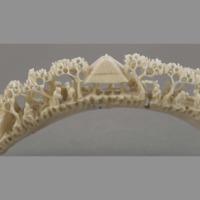 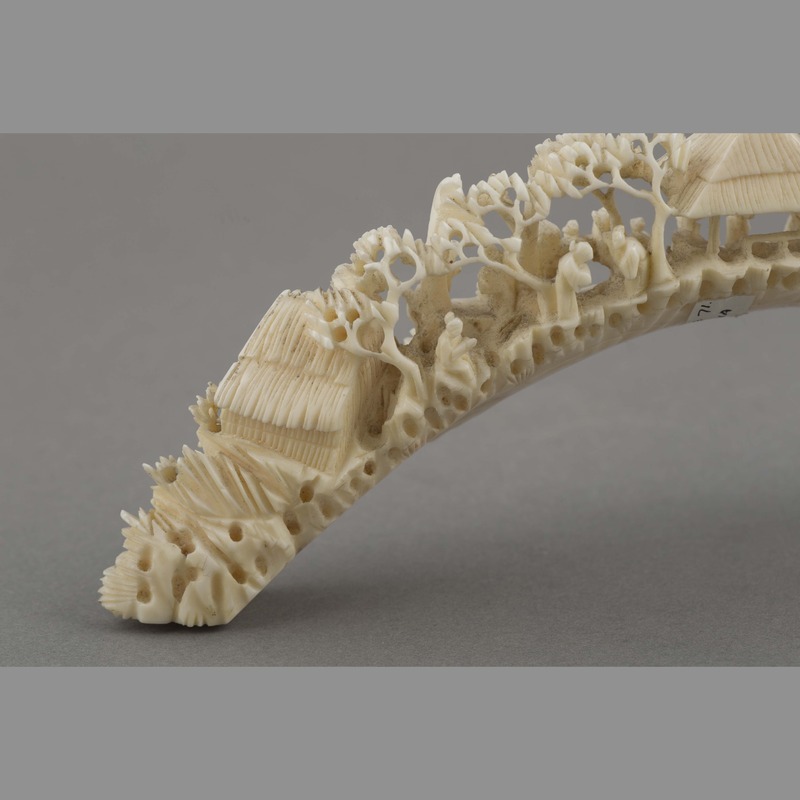 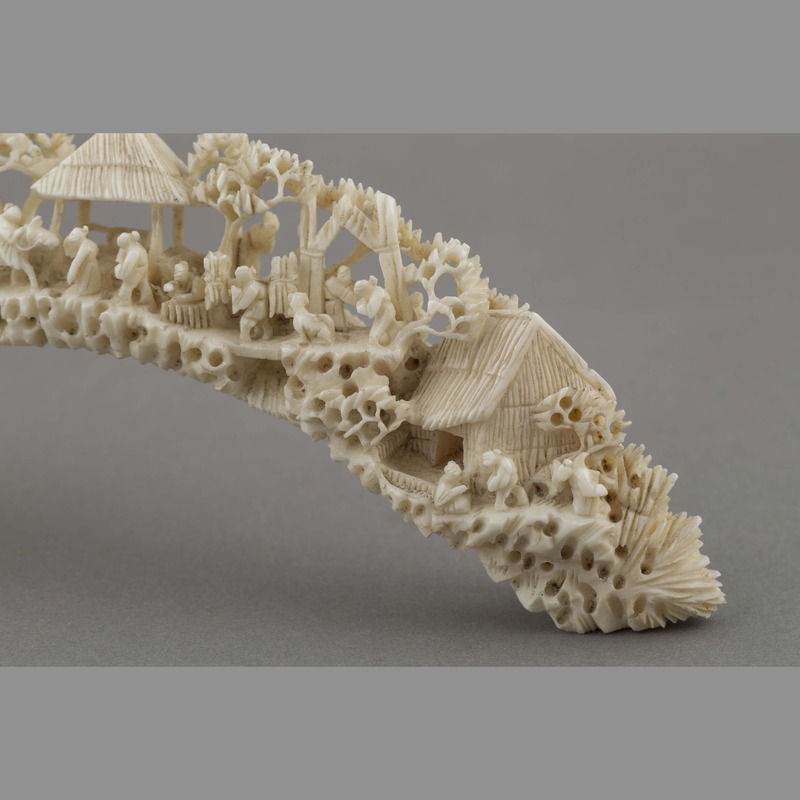 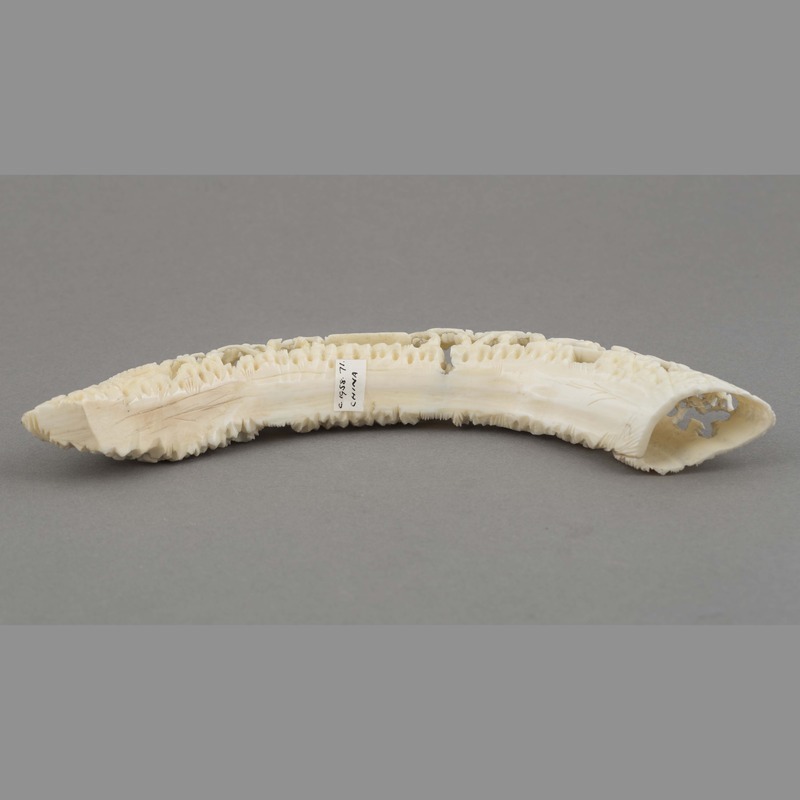 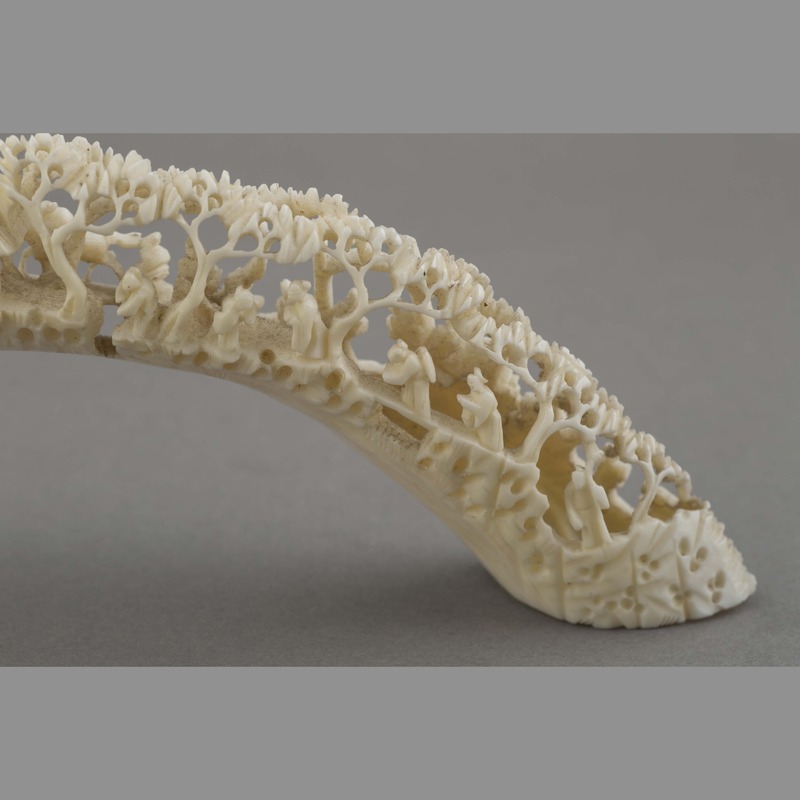 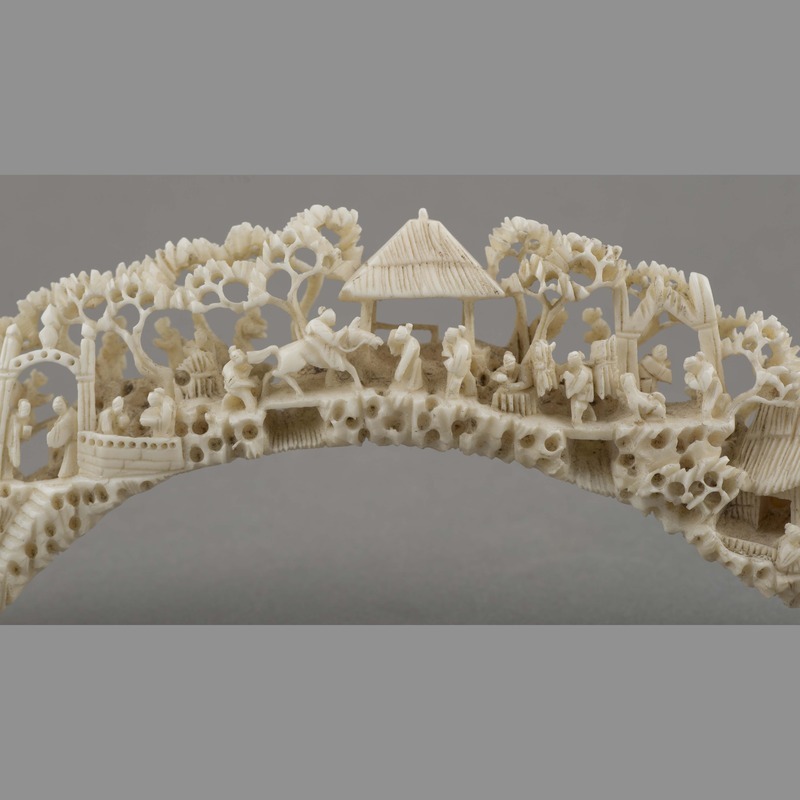 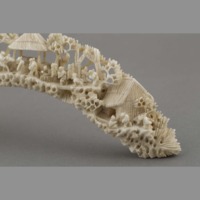 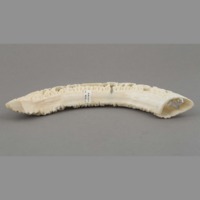 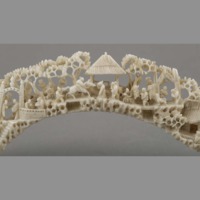 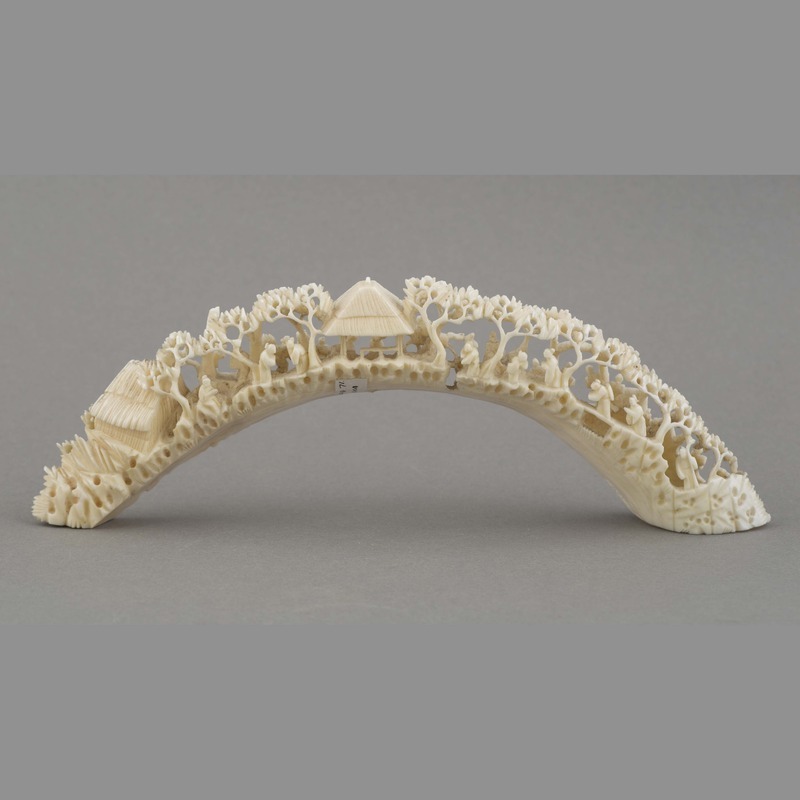 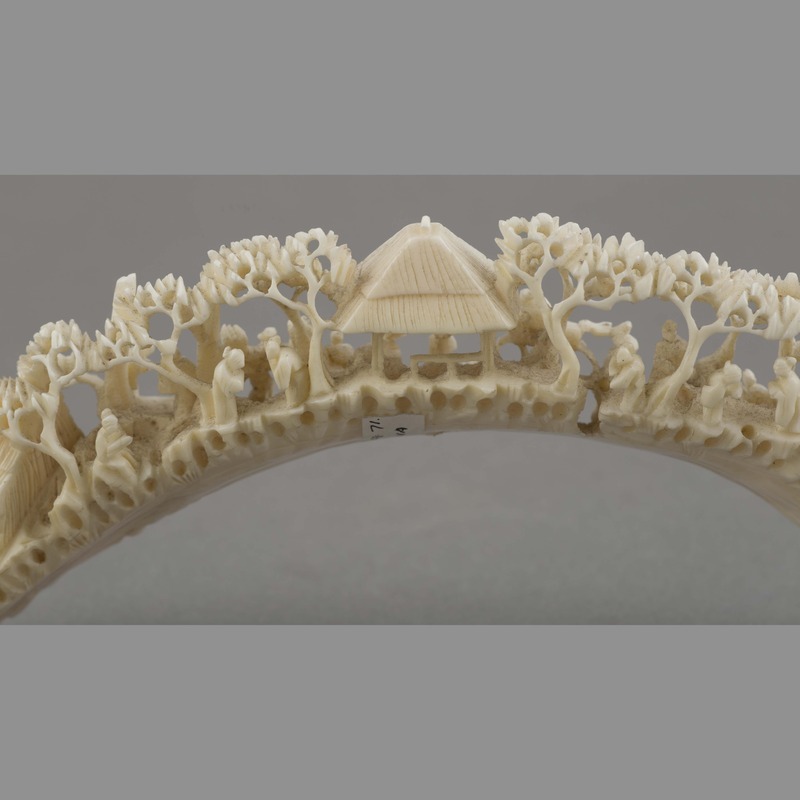 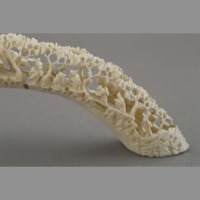 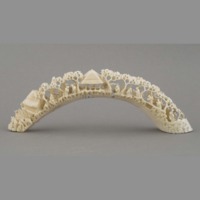 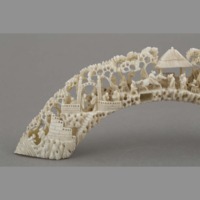 “Ivory: sculpture,” China, Art and Cultural Diplomacy, accessed April 22, 2019, http://rewialleyart.nz/items/show/1084.